Ford is a leading automobile manufacturer that often gives surprises by introducing state-of-the-art car equipped with best-in-class features and powerful engines. 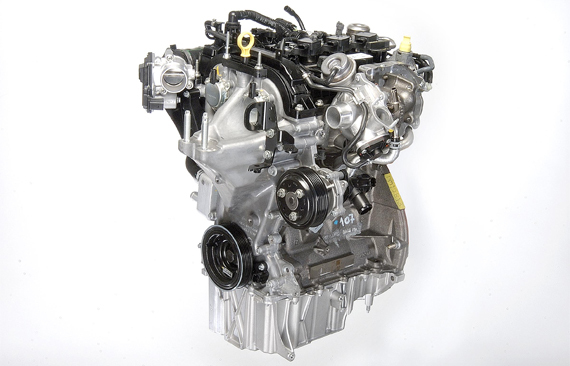 Recently its 1.0L ECOBoost Engine has been named as the International Engine of the Year 2012. This ground breaking engine will also be equipped in an upcoming range of new Ford Vehicles. ECOBoost technology is famous in making engines fuel-efficient and eco-friendly and same we expect from new Ford Vehicles that will be launched later this year. In Europe, this ECOBoost Engine will be introduced in upcoming C-MAX and B-MAX vehicles. New 100PS Focus powered by 1.0L ECOBoost Engine can achieve estimated fuel efficiency of 58.9mpg on the highway and emit only 109g/Km of Co2. You will be surprised to know that initially above 4700 people ordered Ford Focus just because of this performance oriented ECOBoost Engine.